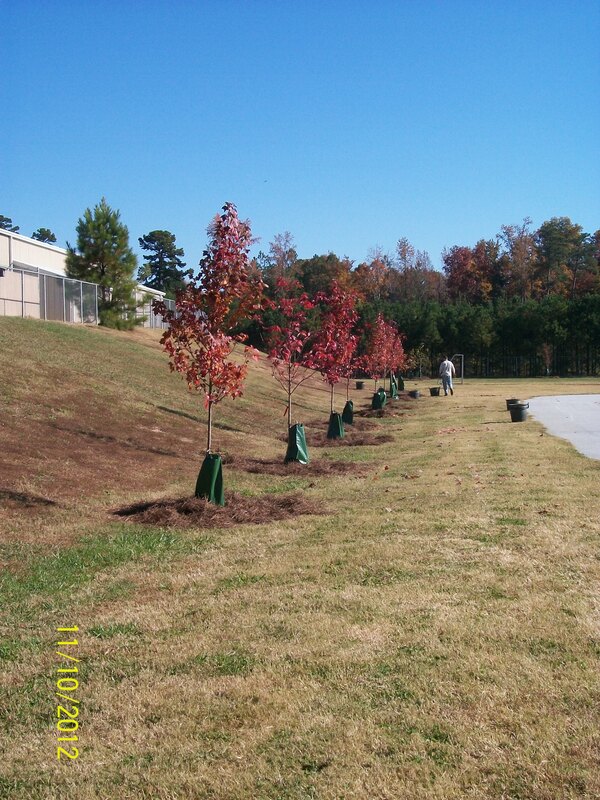 The Georgia Forestry Commission’s grant program, Making the Shade, provides trees for playgrounds in elementary schools all around Georgia. Trees have many benefits on playgrounds including providing shade for children and helping to protect them from sunburn. 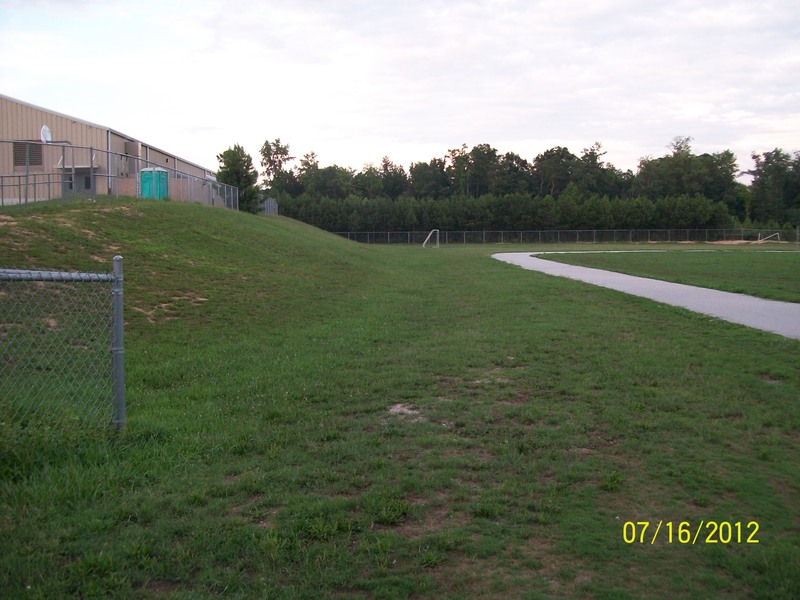 Trees also lower the overall temperature of the playground. At Cooper Elementary School, Darcie Scales, an Ambassador Girl Scout, is managing the Making the Shade project for her Gold Award. A Girl Scout Gold Award is the equivalent to the Boy Scout Eagle Award where the girl needs to serve 80 hours to complete the service project she chooses. Cooper Elementary is the first school in Gwinnett County to go through with the Making the Shade grant. The principal, Dr. Donna Bishop, the PTA, and Darcie have worked together to plant 34 trees on the playground. The planting day was on November 10th. 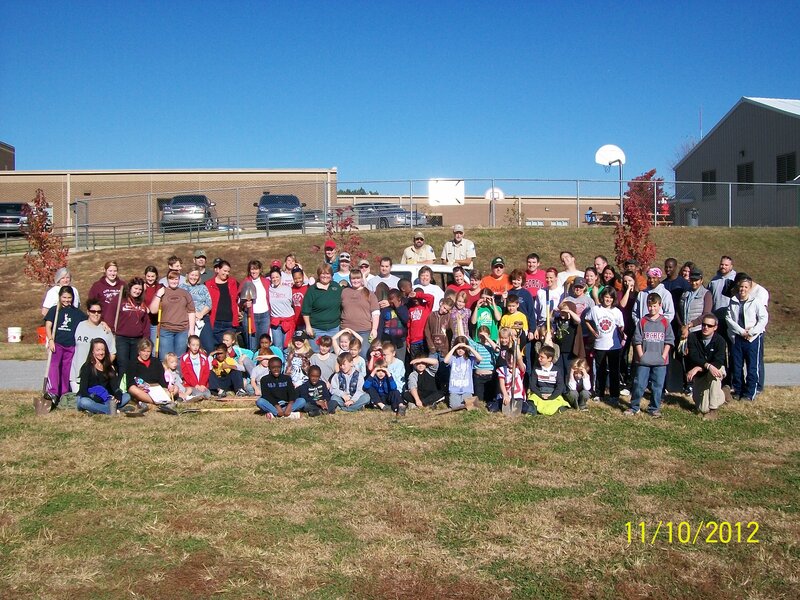 There were over 100 volunteers that came out to successfully plant all the trees. There are six different species planted on the playground. They are Nuttall oaks, October Glory maples, Swamp White oaks, Autumn Blaze maples, Frontier elms, and London Planetrees. Each class at Cooper has adopted a tree and will water the tree once a week. During school breaks, Darcie will water all the trees to keep them growing and healthy. Darcie will also be going in to the 5th grade classes to teach the kids more about the trees and the benefits. So far, the Making the Shade program at Cooper Elementary has been a success.